Will that piece of gear fit your vehicle? We've climbed into thousands of vehicles to find out. When you select your vehicle on our site, you'll be able to shop from filtered lists of the products, such as receivers and speakers, that we know fit or work with your vehicle. You'll also be able to find more ”universal“ products, like amplifiers and subwoofers, that can be installed in just about any vehicle. Toggle What do you mean when you say a product fits my vehicle? Just about every car on the road these days features a factory stereo. 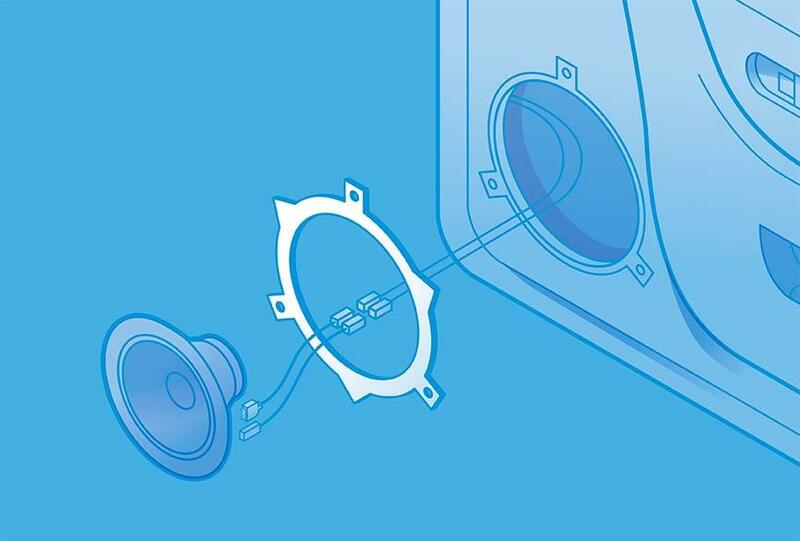 To help you find compatible aftermarket replacements, we've disassembled the dashes and door panels of tens of thousands of vehicles, measured the spaces where these factory stereos and speakers fit, and loaded our findings into our massive fit database. Our system then compares these measurements to the dimensions of a given receiver or speaker to determine of the product will fit in the factory location. 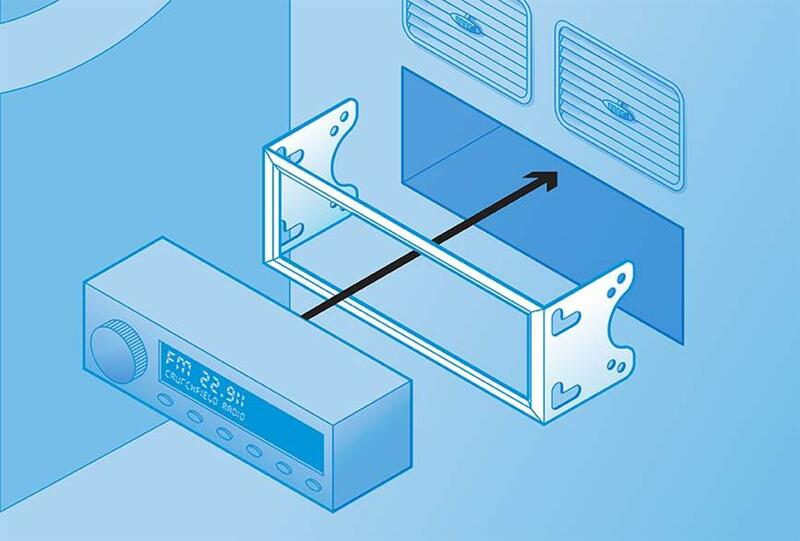 Check out essential stereo and speaker information for your car above to get an idea of the kinds of vehicle information our research team gathers. Toggle What do you mean by "works with" or "compatible"? Toggle How does Crutchfield help me find the right car stereo for my vehicle? Use our KitFinder to find the right installation gear for you. Toggle What about speakers? How do you help me find the right car speakers? A breakdown of speakers available for specific locations in your car. 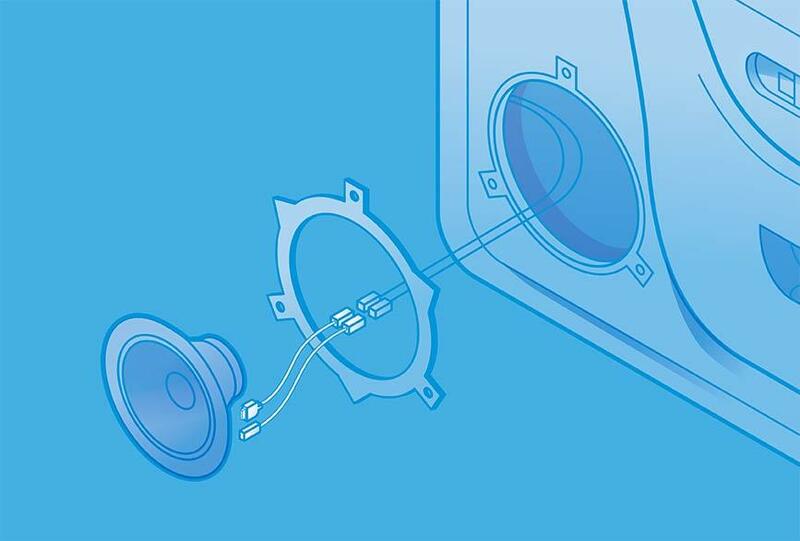 These can include locations that don't have factory speakers, but can be adapted with certain mounting adapters, such as pods that let you mount speakers in your kick panels. Toggle What are "custom fit" products? Toggle How about amps and subs? Will you tell me if they fit? Toggle What's the story on these installation parts? A dash kit includes any trim pieces and brackets needed to mount a new radio in your dash opening and keep a clean factory look. A wiring harness makes connections between your new radio and your vehicle's wiring. Splice the harness's wires to your new radio's wires, then plug the other end of the harness into the connector you unplugged from the factory radio. 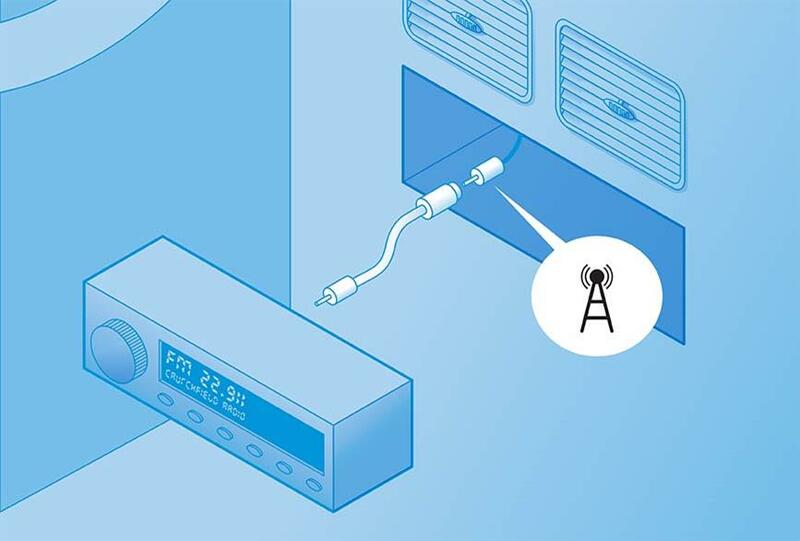 An antenna adapter connects the plug on your vehicle's antenna cable to the standard Motorola antenna input on your new radio. 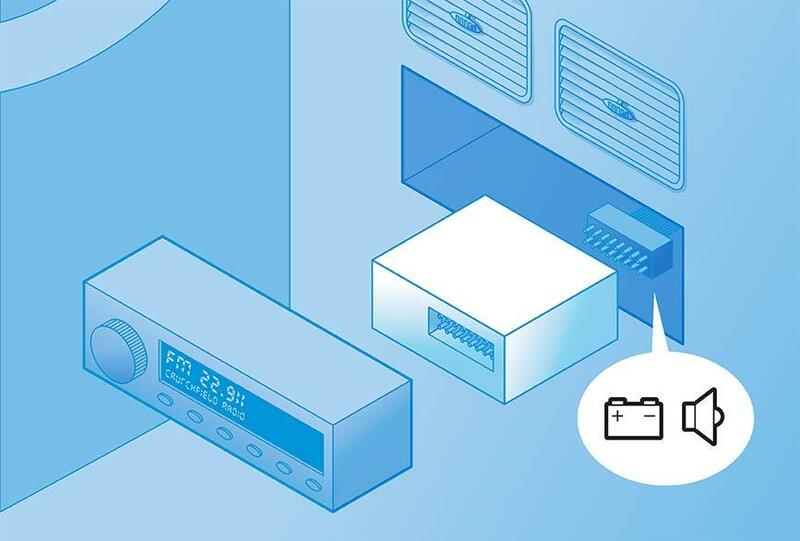 An integration module plus a wiring harness connect and enable communication between your new radio and your vehicle's factory electronics. Splice the module's wires to your new radio's wires, then plug the other end of the wiring harness into the connector you unplugged from the factory radio. 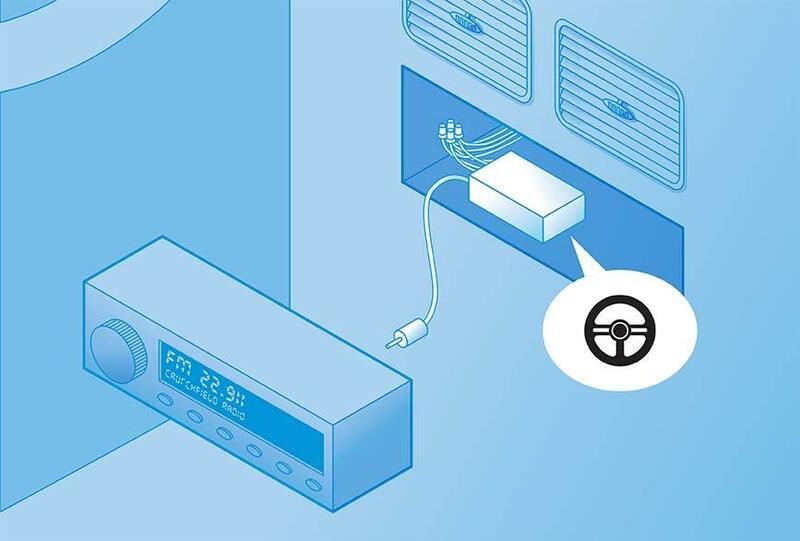 A steering wheel control (SWC) adapter makes the connection between your new radio and your vehicle's factory steering wheel audio controls. 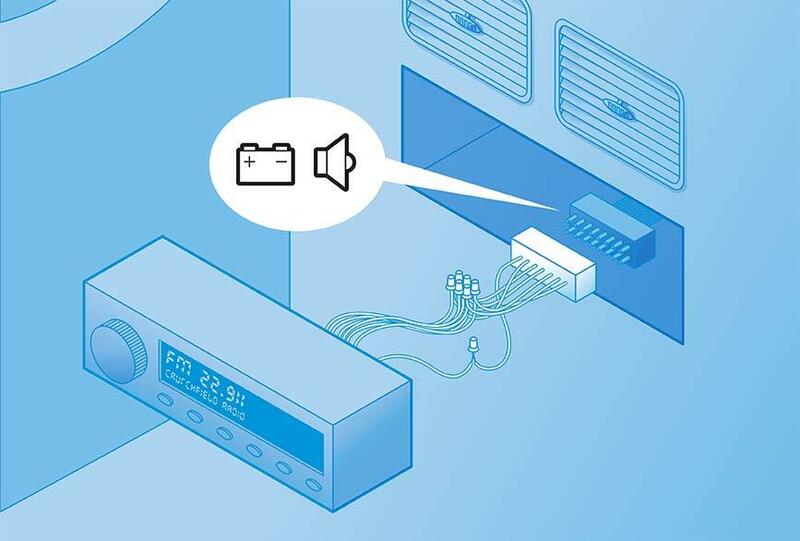 In most cases, you'll have to connect wires, and set the adapter to work with your new radio. Speaker wiring harnesses make connections between your new speakers and your vehicle’s factory speaker plugs. Speaker brackets bolt into your vehicle’s factory mounting locations, and allow you to install aftermarket speakers.